Special Promotion for you! 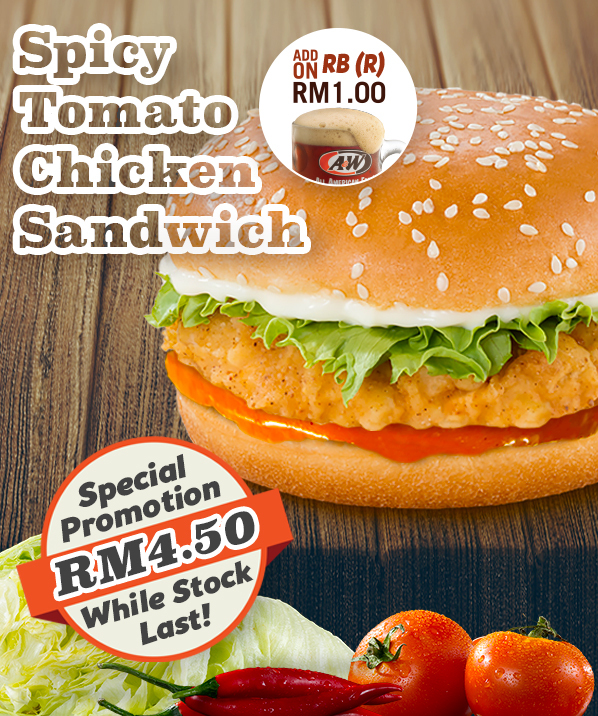 Get this special offer of Spicy Tomato Chicken Sandwich only at RM4.50 today! If this offer is too hot for you, add your signature RB only at RM1! Tunggu apa lagi, Jomlah! RB seringgit tuuu...!! i) Just flash/show promotion via mobile phone upon ordering. ii)This offer is not valid with other promotion or any ongoing promotion. iii) Valid at All Outlets Nationwide. v) Promotion valid till 28th December 2016 and While Stock Last. vi) Other Terms and Condition apply.